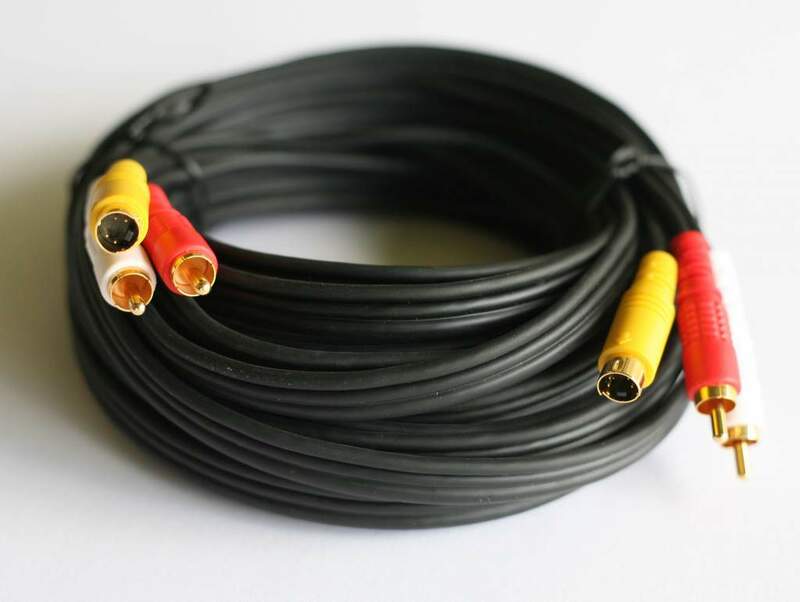 Value Series S-Video/RCA Cables are the right choice for connecting your VCR, DVD, TV and other audio/video equipment to your TV or receiver. The S-video component is constructed with dual 75ohm coaxial cable that delivers high-quality video images. The dual coax design carries the Video (Y) signal separate from the Color (C) providing higher resolution and better picture quality. The dual audio conductor is 90% spiral-wrapped with tinned-copper, which provides shielding against EMI and RFI interference. Connect digital camcorders, satellite receivers, DVD players, PC with TV out or any video source with S-video and composite audio output jacks, to television, monitor or A/V receiver. Ordinary "included in the box" S-video cables often use low-quality materials with inferior shielding that can result in poor picture quality. These S-video/RCA Cables deliver all the detail, color and brightness you expect from your audio/video equipment.